In a medium saute pan, add 2 tablespoons of olive oil over medium heat. Saute garlic 30 seconds, stirring frequently. Add red peppers or red pepper flakes and saute another 30 seconds. Toss in pasta, lemon zest, lemon juice, capers, tomato, basil, and season with salt and pepper. Stir and let cook for 2 minutes. Add parsley and cook another minute. 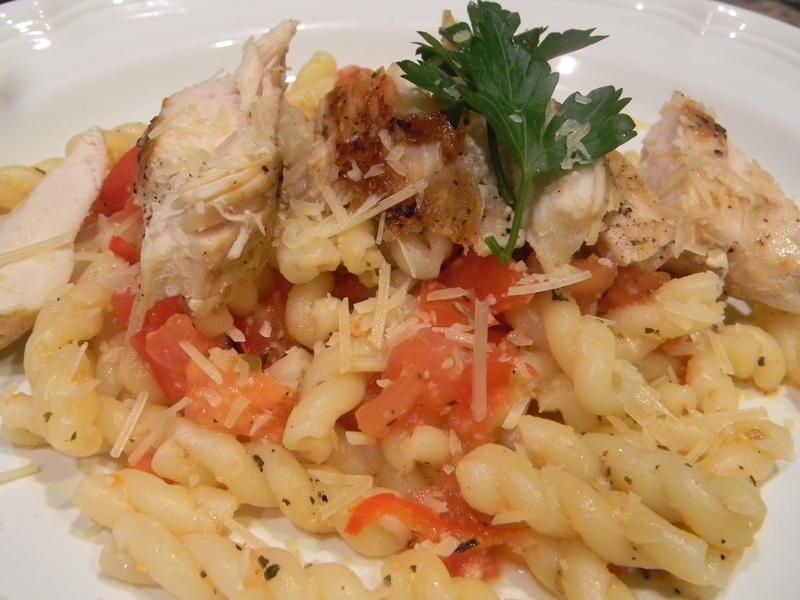 Divide pasta between two plates, top with parmesan cheese and chicken breasts. There is an amazing salad at a local restaurant in Phoenix that I adore. This is my take on their dressing. This beautiful green dressing be amazing drizzled on fish or chicken, on greens, or tossed into my couscous salad. 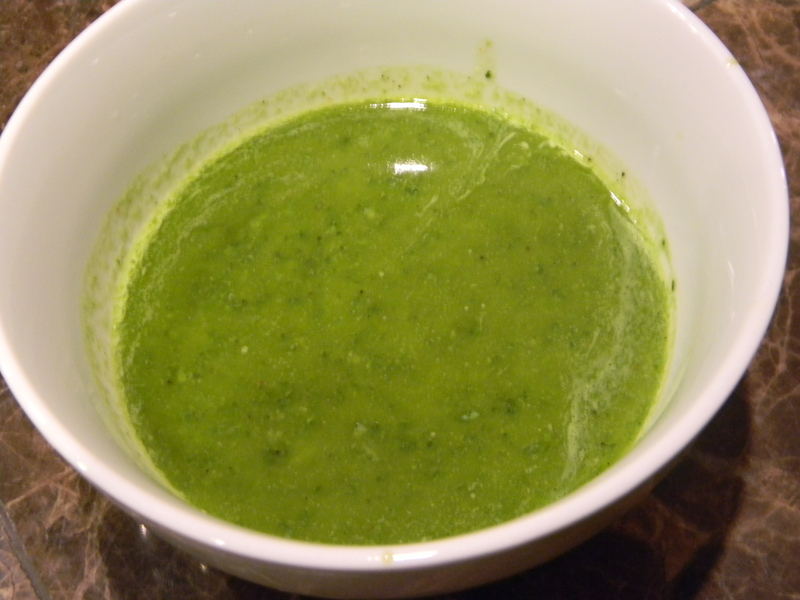 It is very similar to pesto but much milder in flavor and brighter tasting from the lemon. 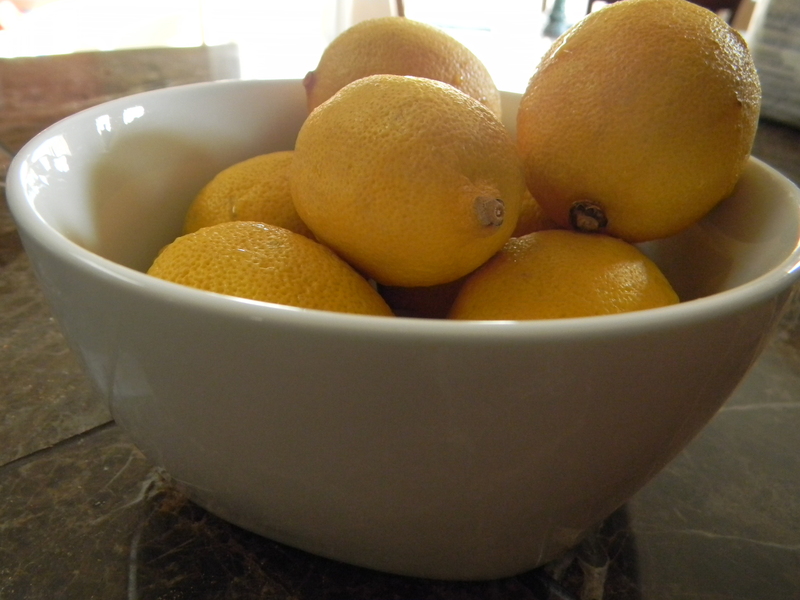 In a food processor or blender, combine lemon zest, lemon juice, salt, pepper, sugar, cayenne and garlic. With motor running, slowly pour in olive oil (through feed tube if you have one). Once incorporated, add in basil leaves and pulse until well combined. This is one of those one pan, throw everything in it and let’s dig in kind of dinners. It’s warm, it smells amazing, it tastes wonderful, and you can use the carcass for stock afterwards and freeze it for another day! How’s that for multi-tasking? A little tip: get a chicken that is cut up already or have your butcher do it. This eliminates you having to clean all the “goodies” out of the inside, or getting too familiar with the business end of the bird. Also, if you are new to the chicken roasting game (or any meat really), I would strongly suggest a meat thermometer. This is the best way to gauge exactly when your bird is done. They are inexpensive and very handy. 1.) Preheat oven to 400 degrees. Place potatoes on bottom of a large baking dish. Drizzle the potatoes with a few tablespoons of the olive oil and season with salt and pepper. 2.) Season the chicken with salt and pepper on both sides and nestle the chicken (breast side up) into the potatoes. Drizzle another couple of tablespoons of olive oil over chicken. Squeeze the lemon halves over everything (toss the lemon halves into the pan), sprinkle with garlic, and the leaves of 2 of the sprigs of rosemary. Top the chicken with two whole sprigs of the remaining rosemary. 3.) Baste the chicken with all those yummy juices collecting in the bottom of the pan every 20 minutes. 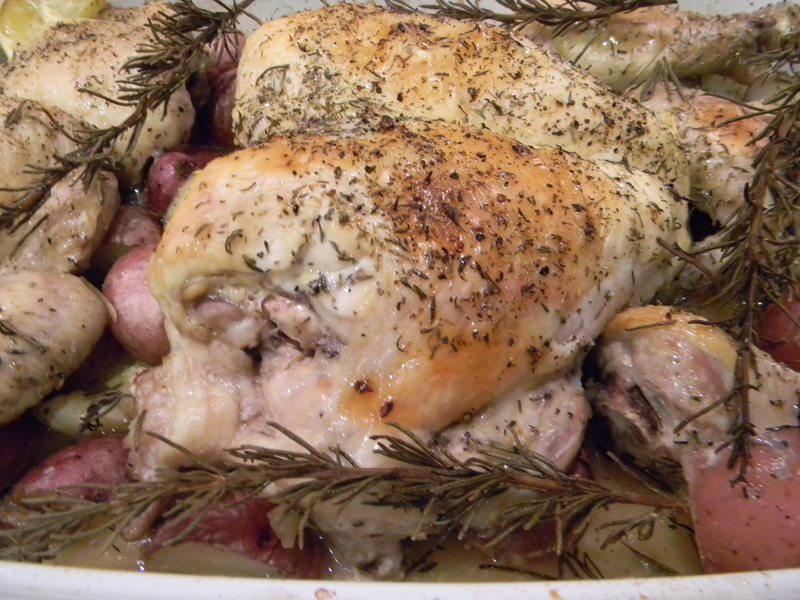 Roast the chicken and potatoes for about 1 hour. If you are using a meat thermometer (which should be inserted into the thick breast or thigh), the internal temperature should be 165 degrees when it is done cooking. 4.) Let the chicken rest for about 10 minutes before placing on your serving platter. This will ensure that the juices will redistribute throughout your delicious chicken. Discard the lemons and whole rosemary sprigs from the pan. Remove the chicken to a platter and spoon the roasted potatoes around it. I am completely obsessed with arugula. I love the peppery bite to it and it is way more flavorful to me than plain spring mix. This salad is light and goes well with just about everything. 1.) 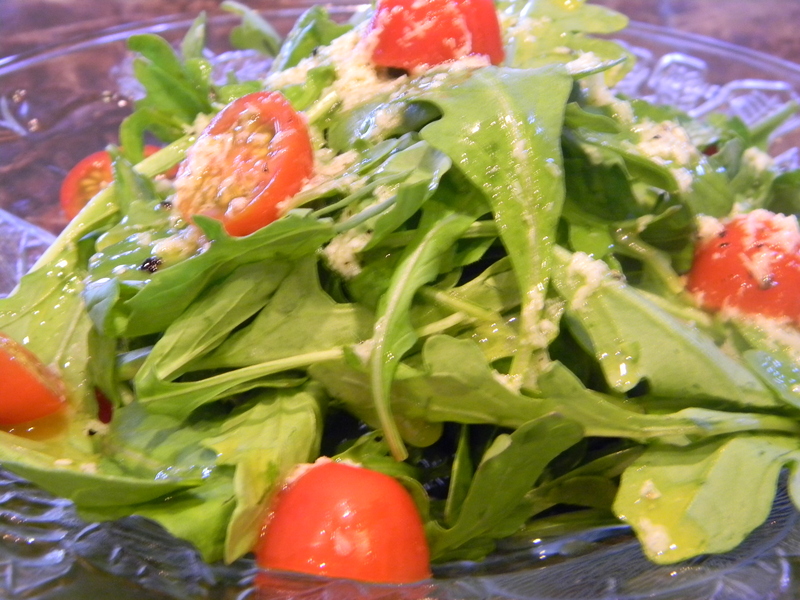 Place arugula and tomatoes in a medium bowl. 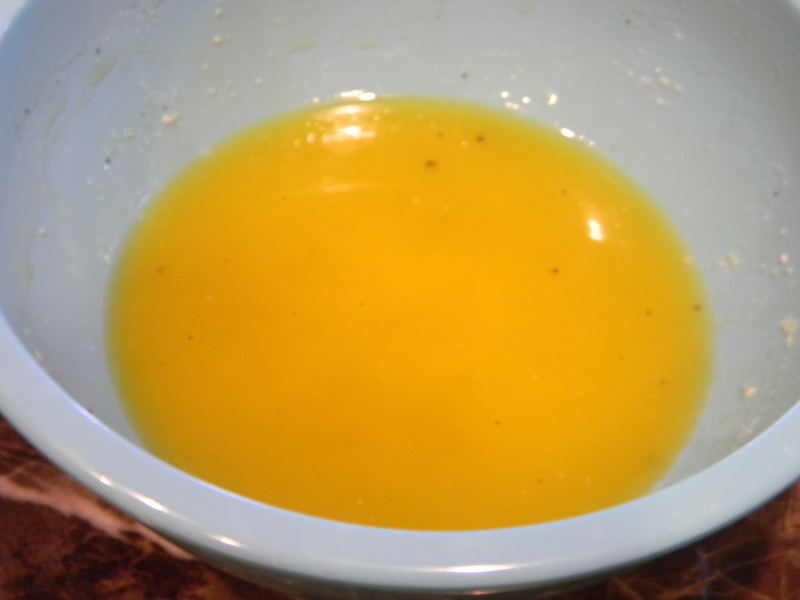 In a separate bowl, whisk together lemon juice, olive oil, salt, pepper, and parmesan. Add a small amount of dressing to the arugula and toss to combine. Divide salad among 4 serving plates and top each salad with remaining dressing. I had an over abundance of lemons and decided this would be a great use for them. 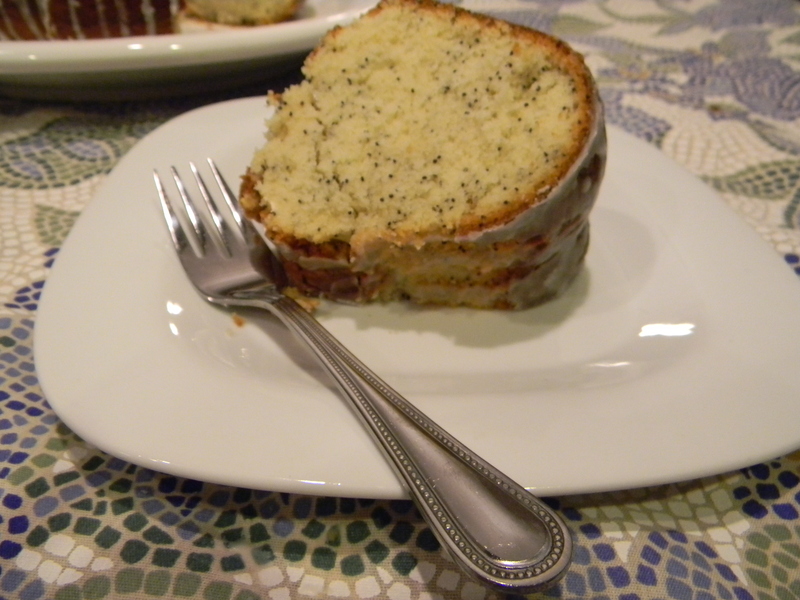 This cake has just a hint of lemon to it and a wonderful crunch provided by the poppy seeds. Make sure your cake cools completely before drizzling the glaze or it will turn out like mine! 1.) 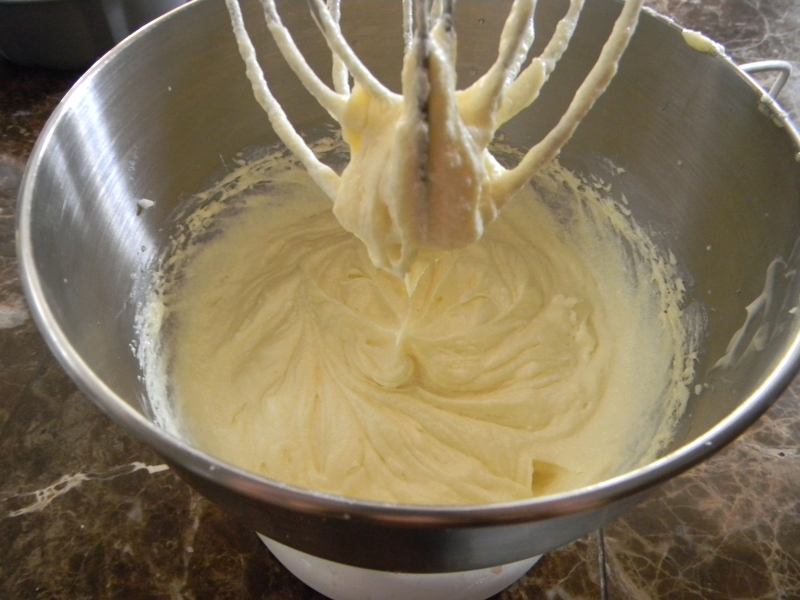 Combine powdered sugar and lemon juice in a large bowl and mix well with a hand mixer, or use your stand mixer. Set aside. 1.) Preheat oven to 350 degrees. 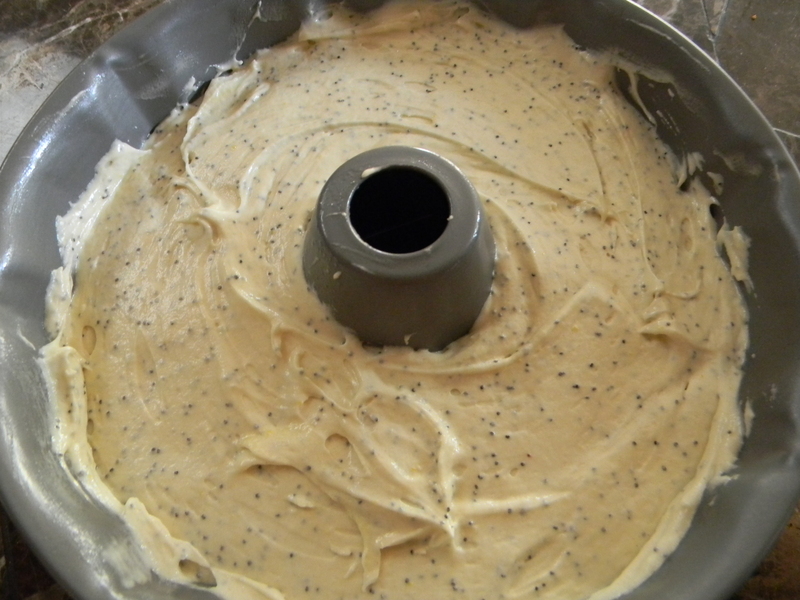 Prepare a bundt cake pan with non-stick canola or butter spray. 2.) Cream together butter and sugar until yellow and creamy. Add the eggs, one at a time until well incorporated. Add lemon juice, lemon zest, and vanilla extract. Add in baking powder and salt. Alternately pour in milk and flour until all is used. Stir in poppy seeds. This is what it will look like after the butter, sugar, and eggs. 3.) 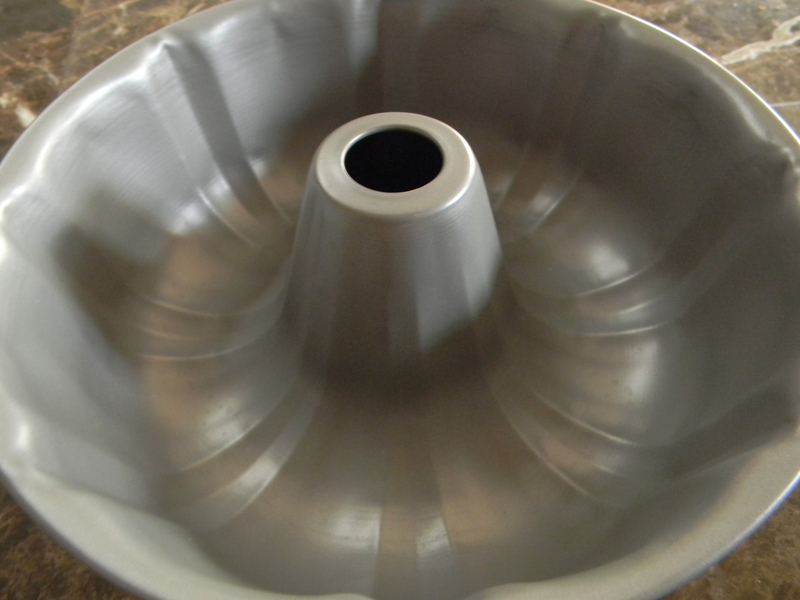 Pour batter into prepared bundt pan and bake for 55-60 minutes until a toothpick comes out clean from the center. Let cool for 5 minutes then invert onto wire rack and continue cooling completely. 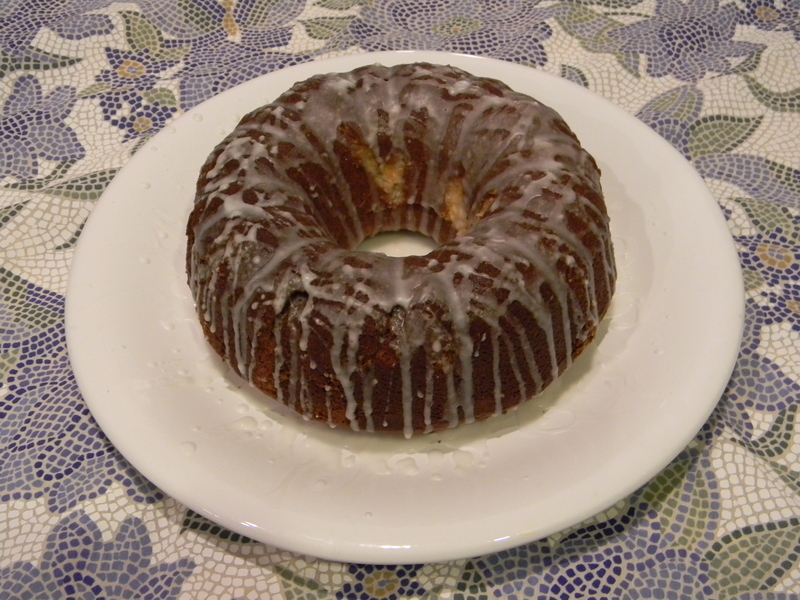 Glaze cake and place on serving plate.